New Guinea impatiens (Impatiens hawkeri) grow up to 2 feet in height and produce flowers in a myriad of colors including pink, white, orange, purple and red. The ornamental foliage can be green, bronze or burgundy in color. Hardy in U.S. Department of Agriculture plant hardiness zones 10 through 12, New Guinea impatiens are commonly grown as annuals throughout the United States. Their colorful blooms grace gardens from spring through fall. Plant New Guinea impatiens once the danger of spring frost has passed. Choose a well-drained location that receives full morning sun and partial shade in the afternoon. New Guinea impatiens appreciates protection from intense, early afternoon sun that can make it scorch and wilt. 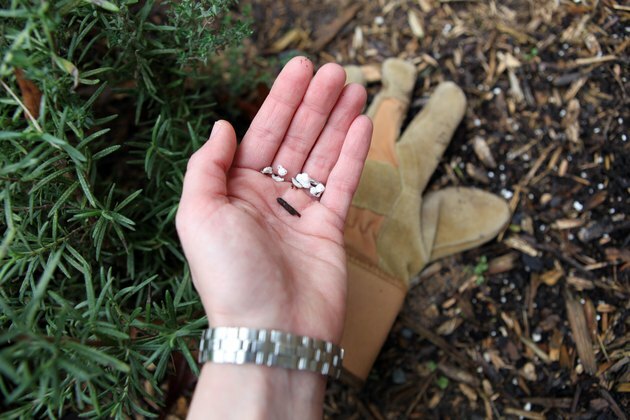 Spread a 1-inch layer of organic compost over the soil prior to planting. 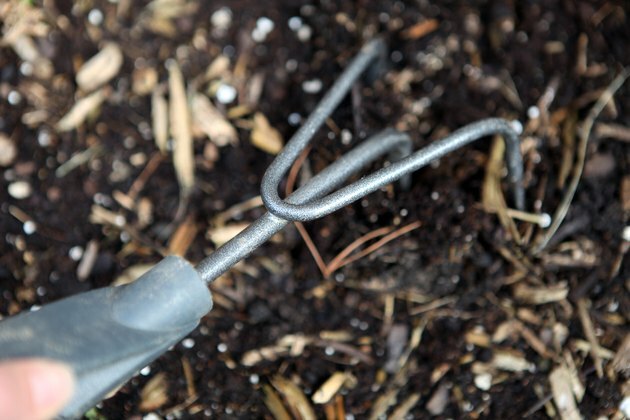 Use a handheld garden fork to work the compost into the soil. 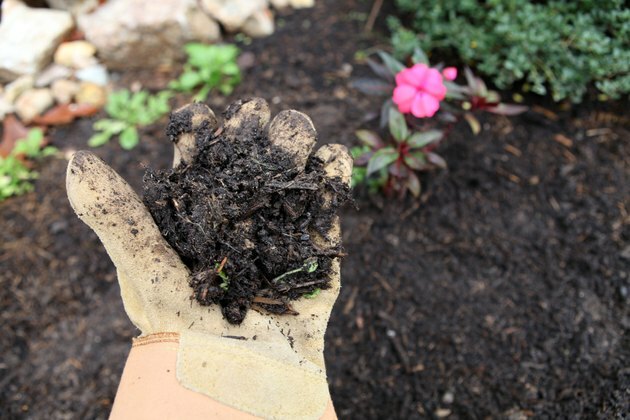 Compost increases soil fertility, improves drainage and prepares a well-aerated home. 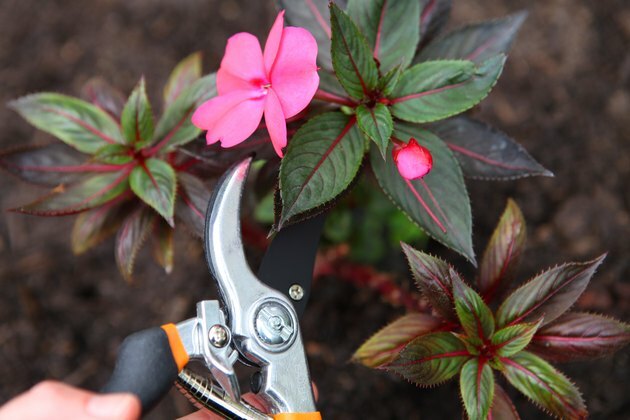 Use a garden trowel to plant impatiens at the same depth they were previously growing. Keep New Guinea impatiens soil evenly moist, never soggy. Keep foliage dry to avoid fungal disease. During the first month of growth, water up to three times a week in warm climates. Reduce the frequency of watering to twice per week thereafter. In its hardiness zones, water New Guinea impatiens once per week during winter months. Feed New Guinea impatiens twice per year, once in early spring to encourage new growth and again in mid-summer to increase flower production. Broadcast a low-nitrogen, bloom-promoting fertilizer, such as 5-10-10 granular fertilizer, at a rate of 2 to 3 tablespoons per 4 square feet. Use your garden fork to work it into the soil, and then water well. 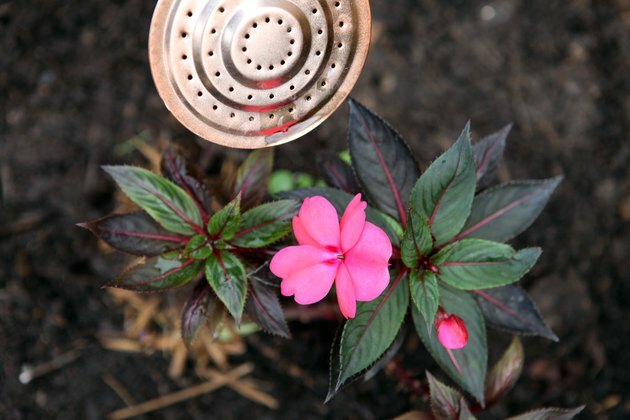 Spread a 2-inch layer of organic mulch over the soil surrounding New Guinea impatiens to preserve moisture, impede weeds and keep soil temperatures from fluctuating. 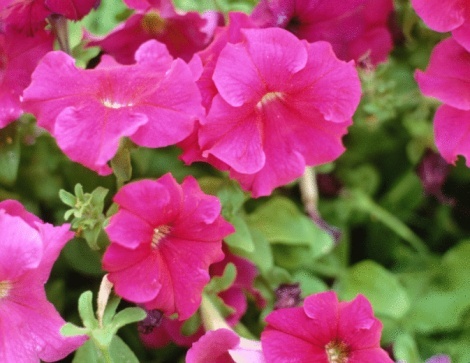 Keep mulch about 2 inches away from the stem of the impatiens to allow room for growth. 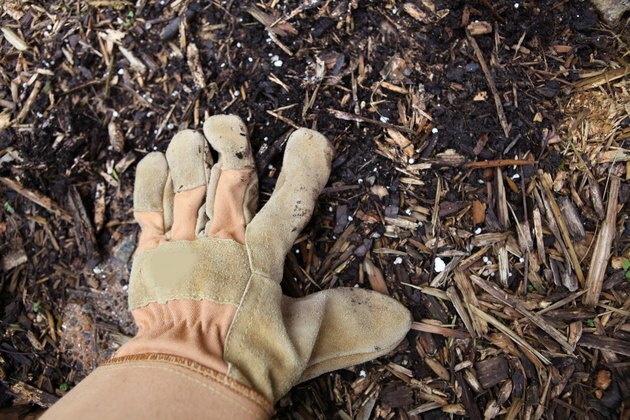 Refresh the layer of mulch when it becomes visibly deteriorated. 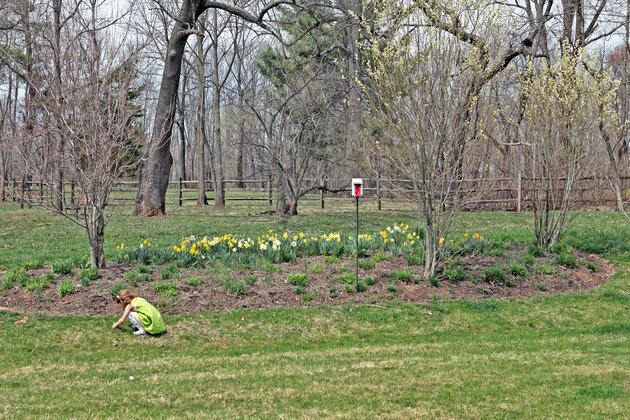 Remove faded or dying flowers throughout the growing season to encourage the growth of new blossoms. If blooms are left to form seeds, and they sap nutrients from the rest of the plant. Carefully pinch the flowers off as close to the stem as possible without damaging the plant. Avoid pests and disease through proper care and watering. 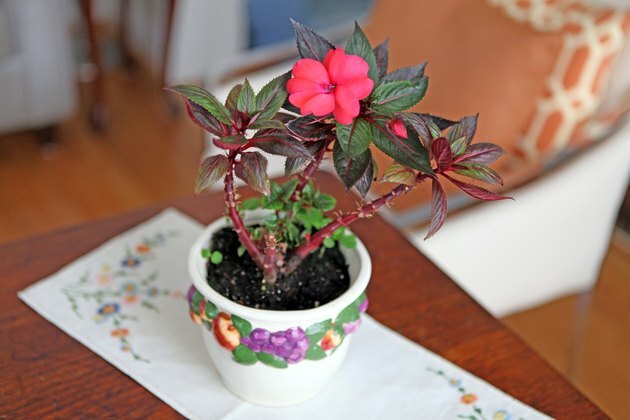 Healthy New Guinea impatiens have no serious insect or disease pests. The Missouri Botanical Garden advises that New Guinea impatiens is reported to be highly resistant to downy mildew that strikes other impatiens species.